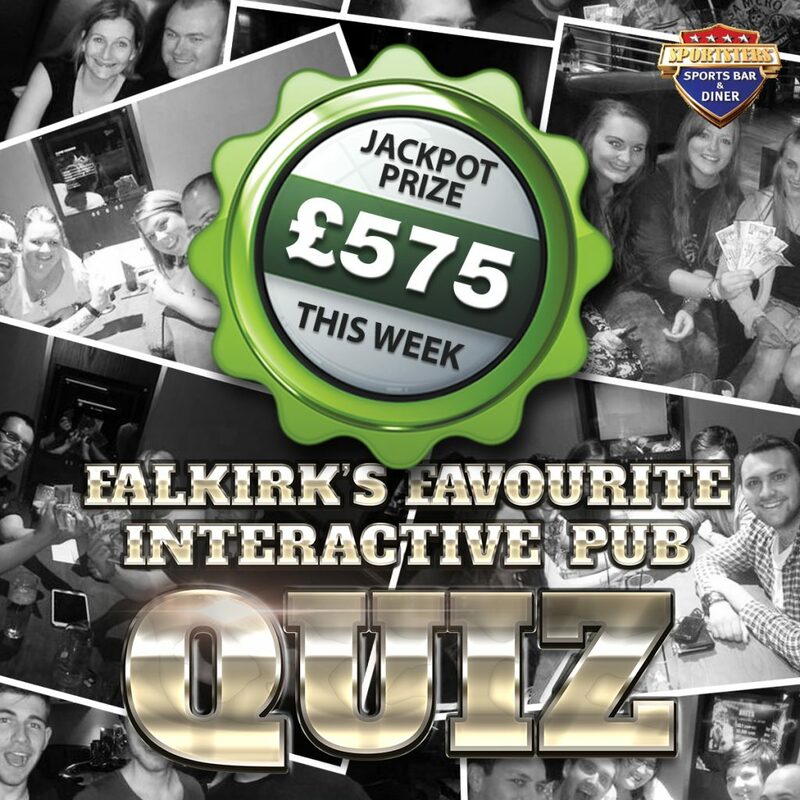 Sportsters £575 Jackpot Quiz this Thursday! News Sportsters £575 Jackpot Quiz this Thursday! Sportsters has been saving up for this moment all year. 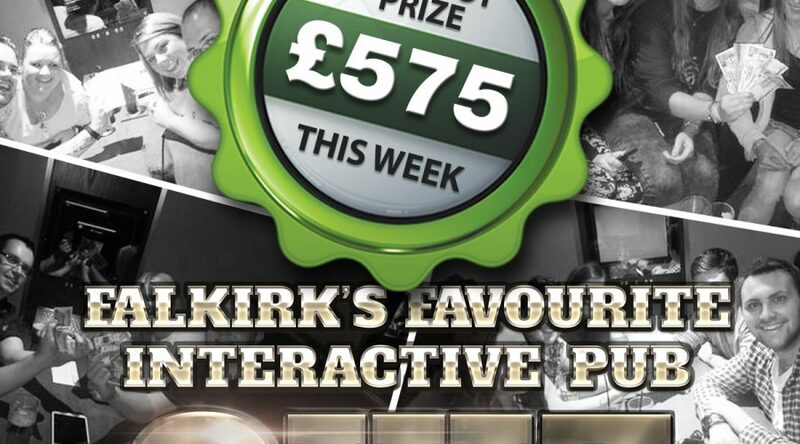 We’ve put £25 aside each week and been building up a lovely jackpot to give away in the run up to Christmas. The jackpot for this Thursday? A Whopping £575! The best bit about all this, our quiz is completely free to enter. Yes, that’s right, the UK’s largest smartphone pub quiz is entirely free to enter! Plus, with snacks for all teams, why wouldn’t you give it a shot? The quiz starts from 21:00, but we advise getting in early to get the best seats in the house. Click here to book online or give us a call on 01324 673220.